For years we have followed the Spanish Film Festival and its collection of Spanish and Latin American films and this year, we have some tickets to give away to our fans and followers. Follow the instructions on your favourite social Facebook, Twitter, Instagram or on the Road Best Travelled newsletter for your chance to win a double pass to this great cultural event. Winners drawn on Wednesday 15th of April. 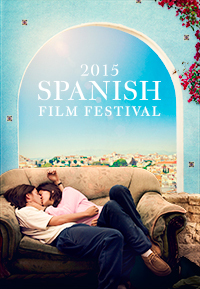 The Spanish Film Festival screens at Palace Cinemas nationally from April 21 2015. This year the Spanish Film Festival features two excellent South American Films and is even hosting special themed events to showcase them. 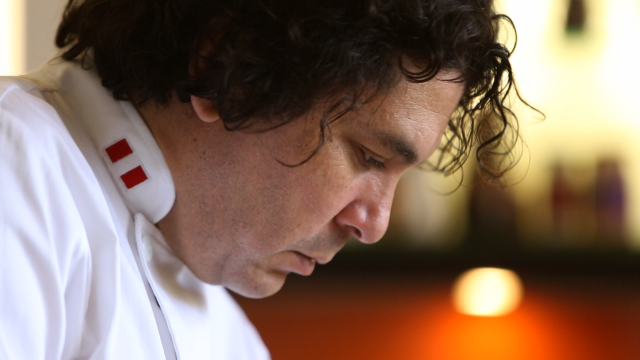 A film about revered, creative chef and legend of the Peruvian gastronomic scene Gaston Acurio whose passion and love of local influences inspired a culinary revolution and put Lima on the world map for foodies. Be entertained by this charming drama that follows a psychiatrist investigating the mystery of a patient who can only communicate through tango lyrics. Intertwining the history, music and passion of the tango, this is Argentinean storytelling at its finest. By entering and participating, entrant agrees to hold harmless, defend and indemnify Facebook, Instagram or Twitter from and against any and all claims, demands, liability, damages or causes of action (however named or described), losses, costs or expenses, with respect to or arising out of or related to (i) entrant’s participation in the Sweepstake, or (ii) entrant’s participation in any Prize related activities, acceptance of a Prize and/or use or misuse of a Prize (including, without limitation, any property loss, damage, personal injury or death caused to any person(s). This promotion is in no way sponsored, endorsed or administered by, or associated with Facebook, Instagram or Twiter. 1. Competition consists of 5 double passes to be given away as gifts in exchange for following or liking Boutique South America across Facebook, Twitter, Instagram and their Road Best Travelled newsletter. (One ticket will be given for each social media channel, Facebook, Twitter, Instagram and two for recipients of the Road Best Travelled newsletter.) 2. Competition closes at 5pm Wednesday 15th of April and will be announced on FThursday 16th April across relevant social media channel and email where applicable. 3. Prize is one double pass to the 2015 Spanish Film Festival which can be presented at the box office in exchange for two tickets and is valid at selected cinemas. Prize is not valid for Opening/Closing Nights or Any Special Events. Participating cinemas for this promotion include VIC Palace Cinema Como, Kino Cinemas, Palace Westgarth NSW Palace Verona, Palace Norton Street, Palace Byron Bay QLD Palace Centro, Palace Barracks, ACT Palace Electric SA Palace Nova Eastend Cinemas WA Cinema Paradiso TAS State Cinema Hobart 4.Prize is not transferable or redeemable online or for cash. Not valid public holidays. 5. Prize is open to Australian residents only. 6. Prize passes will be sent by regular mail in time to arrive for the beginning of the festival.